In September the farmers go up to the mountains to gather up their sheeps that have been up there for the summer grazing in the vast highlands. The sheep are gathered down to the inhabited areas and all the way to the separating place called réttir. There all the farmers meet (and many other people too) and take their sheep home. 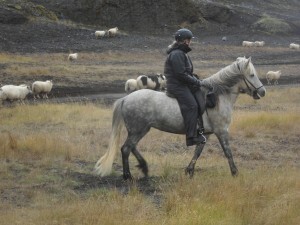 On this tour we ride to meet the gatherers and help them take the sheep to the inhabited area and to the réttir. Then we try to find Steinsholt’s sheep and take them back home. This is a great opportunity to experience the real Icelandic country feeling. 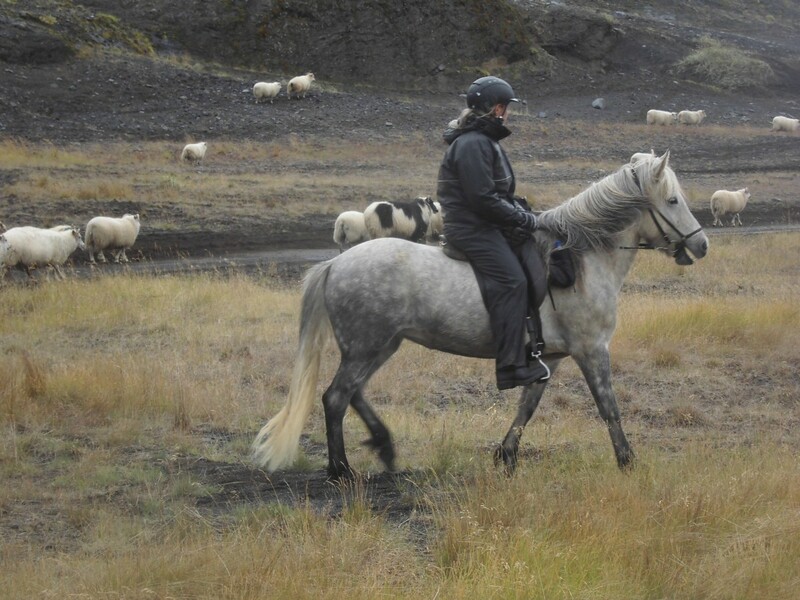 The tour takes six days of which four we are on horseback. We come and pick you up at B.S.I bus station in Reykjavik around six o’clock in the evening and then we drive to Steinsholt. There we have a look at the tour schedule together and get to know each other a little better while enjoying the tasty dinner. Maybe you want to try our relaxing hot tub in the garden before you retire for the night. The first day we ride from Steinsholt up along the river Stóri-Laxá to Hrúnakrók. There we ride over the river and further up to this fantastic canyon that is 100 meters high at its highest point. The day’s tour ends after 35 kilometres in the mountain cabin Helgaskáli. This is a true highland cabin without electricity and warm water, so we have to make do without a shower tonight. This day we ride straight away to the river Fossá. There we change horses and continue riding to meet the people that have been collecting the sheep from the mountains. We help them to gather the sheep to Hólaskógur where we sleep tonight. This is a very nice mountain cabin with warm water and showers. Today we ride approximately 40 kilometres. Today we help to bring the sheep over to Thjórsádal valley. Timewise this is a long day, but we don’t ride very fast because we ride with approximately 3500 sheep. What a view! We ride 40 kilometres. Tonight we sleep at Steinsholt. It is nice to enjoy the cozy beds and the relaxing hot tub after a long day. On the last riding day we ride down to Skaftholtsréttir and try to find the sheep of Steinsholt. This is a day full of festival feeling, joy and traditional songs. We ride with Steinsholt’s sheep back home, where there is a delicious Réttarsúppe (traditional Icelandic meat soup) meal waiting for us. The day ends with a nice evening together at Steinsholt. If we are lucky we might even see some Northern lights when we enjoy the warmth of the hot tub outside. 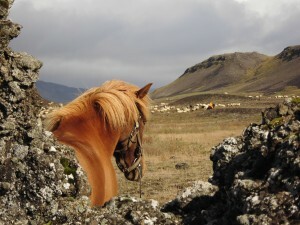 The last day we will drive you to Reykjavik after you have enjoyed the breakfast.